This image of Donna’s was hands down my favorite of all the images entered. This frame has perfect composition with lovely saturated colors but most of all the subject matter is just amazing! 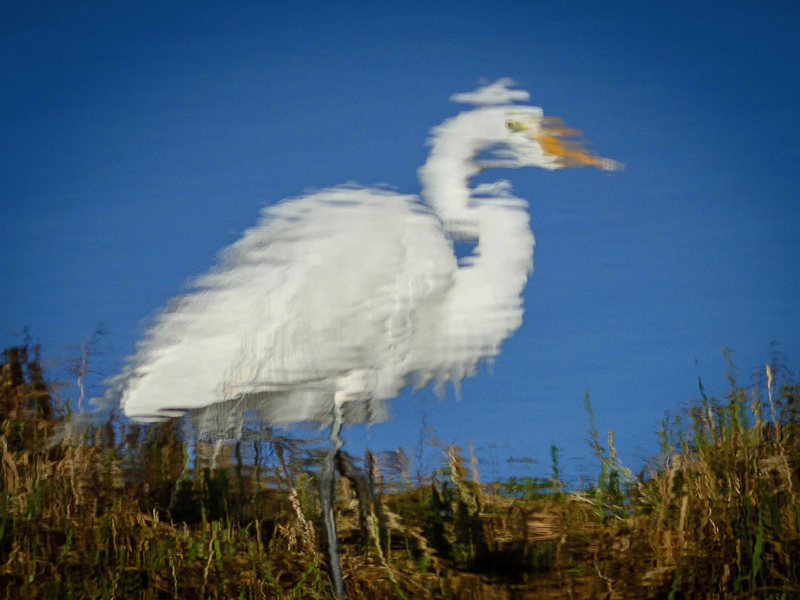 Would this image be as strong as it is if it was just of the bird standing at the water and not the painterly reflection that Donna photographed? I’m not sure because this out-of-the-box capture gives the viewer pause because while yes it is obviously a bird at first glance there is just something different about it that needs to be thought about and getting the viewer to study an image instead of just glancing at it should always be a photographers goal. It is a gorgeous and well executed image.